When many people hear about the ketogenic diet, they are presented with a lot of processed food options. 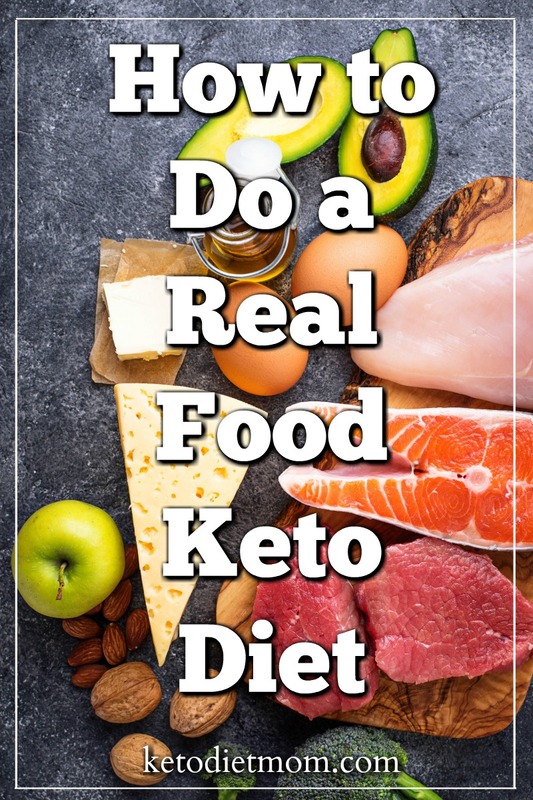 Learn how to do a real food keto diet, so you can lose weight and stay healthy. The keto diet is a popular lifestyle that encourages you to eat as many quality meats and veggies as you can get your hands on. However, you might also want to do a real food diet at the same time. Here are some tips for combining a whole food diet with the ketogenic diet. To start with, you should try to keep your diet as simple as possible, especially when you are trying to combine keto with a whole foods diet. If you are new to keto in general, you don’t want to make it overly complicated. With a whole foods diet, you are trying to avoid anything processed, so your grocery list and meal planning can be very simple. For keto and whole foods, the majority of your meals include meat and veggies, with some nuts, seeds and a little low carb fruit. Some people choose to have cheese and other dairy, while others don’t. You can also enjoy pastured eggs when following a real food keto diet. Naturally, you don’t want anything packaged or processed. This is where many people tend to go wrong with the keto diet. If you are doing with all whole foods, then skip all the pre-packaged low-carb and keto snacks you find in stores. Instead, just stick to what you will be able to prepare at home. You might decide to have some packaged food, like string cheese, but keep it to a minimum as much as possible. This is essential so that you are never stuck with nothing to eat, having to eat out or grab a quick packaged snack. If you want to eat all meals and snacks as a real food keto diet, then plan out all your meals for the week, buy all of your groceries and prep what you can. Put nuts and seeds into portion-controlled containers, chop fruits and veggies, prepare salads ahead of time and cook as much as you can before the week begins. By the time Monday rolls around, all your meals are ready to go. This is the simplest way to be sure you are eating whole foods while on a keto diet. If you make everything from scratch, you are going as whole as possible. Use fresh produce instead of canned, use local pastured meat instead of nitrate-filled processed meats, use grass-fed butter instead of margarine and choose pastured eggs over conventional eggs as much as you can. What other tips do you have for a keto real food diet?